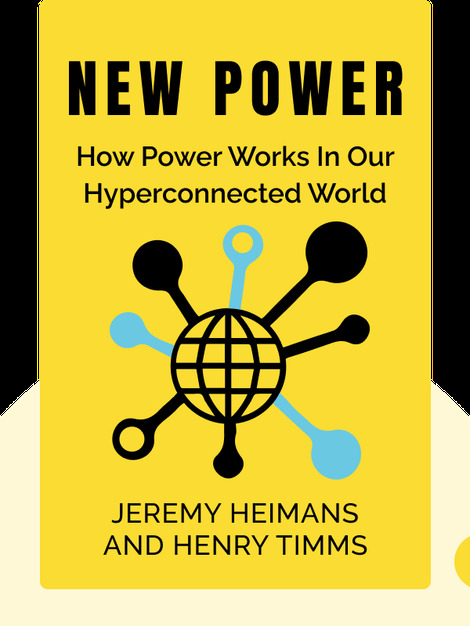 New Power (2018) maps out the changing power dynamics of the twenty-first century. Digital technology and ubiquitous connectivity have exploded, altering the very nature of power itself – how it functions, how it’s won and how it’s held. 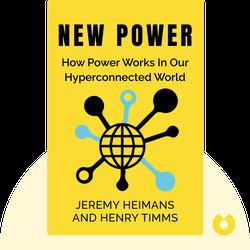 Heimans and Timms explain who’s using this to their advantage, who isn’t and what these new forms of power mean for you. Jeremy Heimans is an Australian entrepreneur, political activist and CEO of Purpose, a company that builds and supports movements for various businesses, organizations and philanthropies. Henry Timms is the CEO of 92nd Street Y, a famous cultural center focusing on civic engagement, and a cofounder of #GivingTuesday, a philanthropic movement.